While new retailers are beginning to fill the empty spaces at Westfield Wheaton Wheaton Mall Wheaton Plaza, one new vacancy has appeared. PacSun, the purveyor of surf and skate wear who came to the mall as part of Westfield's $140 million renovation seven years ago, will close January 30. When I visited the mall a few days before Christmas, the store's windows were covered in "GOING OUT OF BUSINESS" signs. Though the mall's parking lots and corridors were crowded with shoppers, PacSun was empty. Inside, I talked to one employee about the store's closing. He explained that PacSun, based in Orange County, California, had chosen to shut their Wheaton branch last year. "No one really knows why they're closing," he said, looking pretty dejected. "With the numbers we're running, I think we could save it. But it looks like they've already made up their mind." A number of stores in East County have closed in recent years: Hecht's, Ritz Camera, Circuit City, Pier 1 Imports, and most recently Borders. It feels silly to mourn the passing of another chain store, particularly one whose stated mission in a report to stockholders is "to be the favorite place for teens and young adults to shop in the mall." 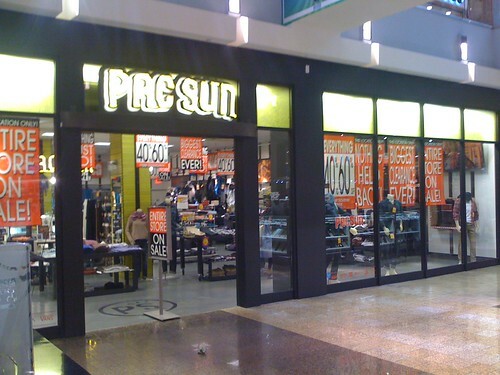 Nonetheless, PacSun was base camp for a teenage Dan seeking to reinvent himself as an alternakid way back in 2005, and I'm sad to see it go. So why would PacSun close? Sure, the folks who live a mile away in snoburban Kensington won't shop at Wheaton Plaza, but the mall remains busy. PacSun has been struggling for years, largely because they've lost touch with their target shoppers. 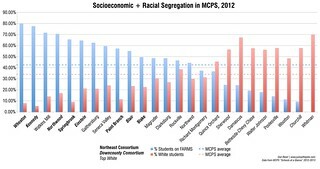 That's especially apparent in Wheaton, a diverse community whose kids don't exactly look like the characters on The O.C. East County skaters at a meeting on the Woodside skate spot in 2010. Photo by Chip Py. 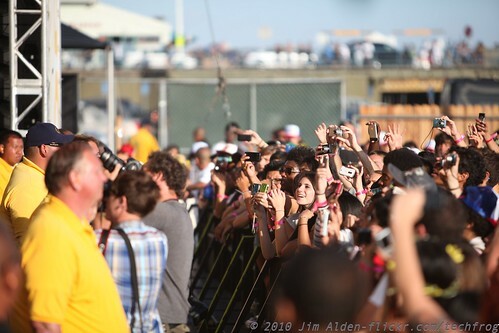 The crowd at a concert sponsored by PacSun in California. Photo by Jim Alden on Flickr. Anyone who's spent time in downtown Silver Spring knows that East County kids like to skate, and you might assume that they'd want to buy clothes from a store like PacSun. But East County skaters, like shoppers at Wheaton Plaza, are a pretty diverse bunch, and they may not all be interested in PacSun's Southern California aesthetic. As skateboarding became increasingly intertwined with hip-hop and urban culture, PacSun stubbornly looked the other way. Even now, the chain's music page features mostly white rock or indie acts like Anthony Green and Fleet Foxes. If they wanted to be the "favorite place" for kids in Wheaton to shop at the mall, they weren't necessarily trying. It shouldn't be surprising that the chain has struggled to retain its core demographic for years. They've been losing ground to competitiors like Zumiez, which sells not only clothes but skateboards and skating accessories. (Zumiez doesn't have any locations in Montgomery County; their closest store is at the Mall in Columbia.) They also compete with local stores like the Record Exchange (formerly the CD/Game Exchange) in downtown Silver Spring, which sometimes carries shirts and skateboard decks. According to the company's 2010 Annual Report, PacSun added nearly 50 stores a year during the last decade, growing to nearly 1,000 locations nationwide at its peak in 2007. But the chain's growing irrelevance meant they were especially hammered when the recession hit in 2008. Their stock value plummeted from a peak of $28 in 2005 to just 93 cents two years later, by which point PacSun was now closing 50 stores a year. Today, their stock has only rebounded to $1.66. Last month, they announced that they'd close 200 more low-performing stores, including the Wheaton Plaza store, with a goal of having about 600 stores total when they're done. So where do teens at Wheaton Plaza go? They're probably headed for Swedish clothing retailer H&M, which recently opened a new, two-story store right across from Macy's. Their clothes seem to work with any aesthetic, from preppies to backpack rappers to skater kids. Maybe that's why they seem to be doing so well. 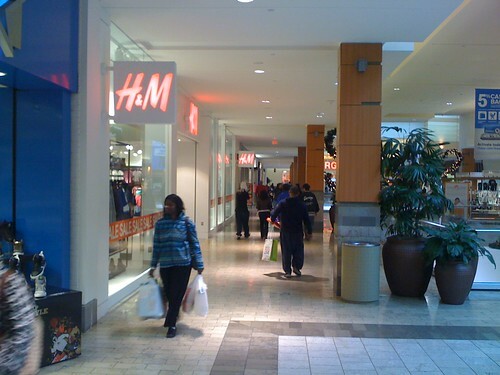 According to H&M's 2010 Annual Report, the chain has over 2,200 locations around the world. And 2010 was a bad year for them: they planned to open 240 stores, but could only open 218 because "completion of some shopping malls, in which H&M had planned to open stores, was halted." Part of me wants to poke around PacSun before it closes up for good, but I do wonder if, at age twenty-three, I've outgrown my alternakid mantle. I could be wrong. I'll wear anything if it's heavily discounted. 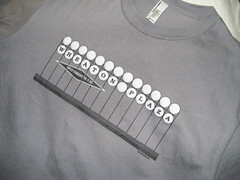 For years, Wheaton Plaza had a skate shop called Shredders that was quite popular. It's been closed for quite some time, however.